Black Circle Design are an interior design company who specialise in designing, building and installing retail and commercial interiors. Black Circle first approached us when they needed a reliable hosting platform for their existing website. 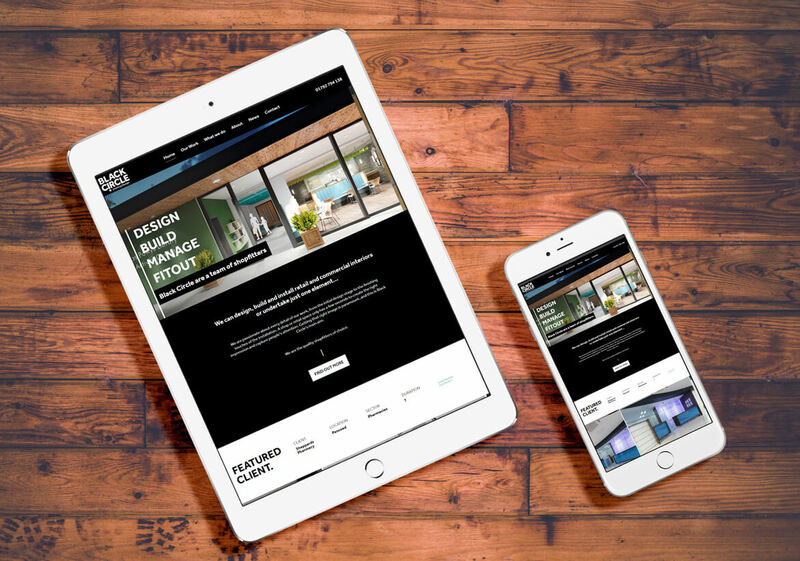 As a result of this we started to make some other improvements to their website but after some time the client decided that what they actually wanted was a brand new fresh look. From the initial design meeting it was clear the client was looking for the new design to be stripped back, simplified and more image based showcasing their clients and work. We began sketching up some ideas for the homepage layout and then worked these into a high-fidelity concept which the client loved! The development team built the front-end and setup WordPress CMS (content management system) to enable the client full access to update the sites content, posts, images and videos etc. We worked very closely with our client to add the websites content and photos and generally throughout the design and build of the website. We can’t wait to see how this brand-new look will help our clients develop as a brand and we continue to support them throughout. We began sketching up some ideas for the homepage layout and then worked these into a high-fidelity concept which the client loved! We worked very closely with our client to add the websites content and photos and generally throughout the design and build of the website.